Set against a relentless backdrop of global jihadist attacks and culminating in the assassination without trial of the alleged 9/11 mastermind in Pakistan, Zero Dark Thirty follows Kathryn Bigelow's directorial Oscar for The Hurt Locker (2009; reviewed in Freedom, 30th January 2010). The latter developed from journalist Mark Boal's observation of US bomb disposal personnel in Iraq, while this time the mendacious hype of documentary authenticity hinges on him stitching up accounts by intelligence staff who prosecuted the decade-long manhunt for Osama bin Laden. Faithfully rendering their assertions of the prevalence, acceptability and effectiveness of the abuse of prisoners – who are never humanised sufficiently to convey its full horror – the most enthusiastically skilled culprit is even shown rapidly ascending the CIA hierarchy. This all precipitated valuable publicity from media consternation and disclaimers among bigwigs accused of facilitating Hollywood access, but hardly elevates the finished artefact above shallow triumphalism – albeit with sufficient ambivalence and worldweary ennui to satisfy cynics. Irrespective of its integrity, the film is also superbly designed, structured, performed, edited and shot. Resonating with a backstory of prejudice around her own mastery of cinematic machismo, Bigelow's hook to spice narrative inertia arose from discovering significant female figures in the investigation – so Jessica Chastain's single-minded sleuth neatly sidesteps distracting male narcissism and lazy expectations of empathic sociality. Complicit (Channel 4, 17th February 2013) deploys a comparable device in writer Guy Hibbert's avowedly fictional protagonists: a Black MI5 official (played by David Oyelewo) convinced that a radical Islamist (Arsher Ali) is implicated in an imminent UK atrocity . A different texture and tenor emerges from a similarly downbeat and frustrating plod, but here definitive truth as well as tidy closure are withheld. The putative plot may not even exist and, given less contextual hysteria to infect events with a false sense of insecurity, the tenuous complexity of the case exacerbated by arse-covering convolutions in the spy fraternity finally project into confrontation between hunter and quarry. The ensuing violence symbolises defeat for the former, unable to defend a freedom and democracy whose rhetoric of legality and rights is tactically hijacked by the latter in support of religious absolutism. The dogged determination of both secret agents entails vicious circles of inflated self-belief, self-importance, and certainty about the efficacy of their dirty work – character arcs relying on obsessively sustained, rationally flimsy and personally bleak cognitive-emotional constellations. This parallels the ideological schizophrenia displayed in alternate denial by politicians and pious pronouncements handwringing about the sad pragmatic necessity of brutality and downplaying its obscenity no matter how extensively practised. Revealingly, the unfolding crime-procedural storylines in the two films should trump hubris among the bloodhounds and their cheerleaders, since solving the puzzles requires negotiation of the Byzantine office politics and labyrinthine webs of false leads and junk data generated by the War on Terror's Kafkaesque infrastructure itself. Nonetheless, existential angst among conflicted spooks is scant consolation to those on the receiving end. Especially as the 'mission' creeps inexorably from 'asymmetric warfare' into everyday life, no suggestion of legitimacy can be innocent. If torturing suspects on the off-chance might conceivably yield important information, then the only practicable course is to assume that anything remotely plausible so extracted may be accurate. When few have relevant knowledge, and despite overwhelming evidence that victims confess whatever you want to hear, analysing and acting on the ensuing farrago diverts massive resources in the remote hope of worthwhile results . Of course, even when questions of truth, justice and morality dominate PR and preoccupy loyal oppositions, the real underlying utilitarianism of the fascist paraphernalia of militarised states is to intimidate and bludgeon populations into acquiescence – and it's scarcely credible that Western foreign intelligence operatives are unaware of this, from their exhaustive colonial experience in selecting, training, installing, bankrolling and arming dictatorships across the world (such as where 'rendition' is perpetrated). Perhaps, after the upfront malevolence of the neocons, crocodile tears pandering to liberal guilt are deemed appropriate in sweetening the bitter pill of the Obama regime's drone of business-as-usual. After a cinematic flurry of ethical paroxysms over wars in Iraq and on terror , Bigelow's film thus shoehorns into resurgent patriotic identification with the US state and its leadership factions. Traducing or ignoring political movements and discourses other than the mainstream, elite and conformist, the fallacious logic of this hypocritical revisionism mirrors the 'manufacture of consent' in current affairs insisting that there is no alternative . This is most ridiculously blatant in the camp Manichean paranoia of Homeland (Channel 4, 2012), whose producers pioneered in 24 (2001-10) the legitimisation in television fiction of 'enhanced interrogation' and stereotyping all Arabs or Muslims as Al-Qaeda supporters. But in purportedly more thoughtful films too, like Zero Dark Thirty and Complicit as well as Argo (Ben Affleck, 2012), Syriana (Stephen Gaghan, 2005) and The Quiet American (Philip Noyce, 2002), undesired outcomes are attributed merely to bad executive or administrative apples or, more subtly, intrinsically impenetrable dilemmas decent middle-class protagonists can't resolve. With systemic and deliberate institutional responsibility (as opposed to corruption and incompetence) absolved from blame, best-case scenarios are heroic gestures to salve consciences or temporary minor victories against historical juggernauts caused by evil or natural forces beyond anyone's ken. Whereas, rather than the marginally better management of crisis, a more disrespectful tradition – including Generation Kill (David Simon/Ed Burns, 2008), Three Kings (David O. Russell, 1999), and earlier subversions like M*A*S*H (1972-83) and Catch-22 (1970) – takes seriously ordinary folks' cynicism about the pretensions affected and illusions peddled by the powerful, and may even hesitantly invoke the spectre of organised rebellion. Meanwhile the lack of any such collective common wit and wisdom in the state's 'intelligence' services speaks volumes about the purported benevolence of governmental rationality abroad or at home – as reflected in pompous, narrow-minded mystifications from fantasy factory apologists portraying the squirming of compromised bureaucrats and embedded functionaries that viewers are invited to identify with. 1. Peter Kosminsky previously interrogated British identity using Asian siblings divided on terrorism in Channel 4's Britz, and Hibbert also wrote BBC2's North of Ireland drama Five Minutes of Heaven (reviewed in Freedom, 2nd February 2008 and 9th May 2009 respectively). 2. 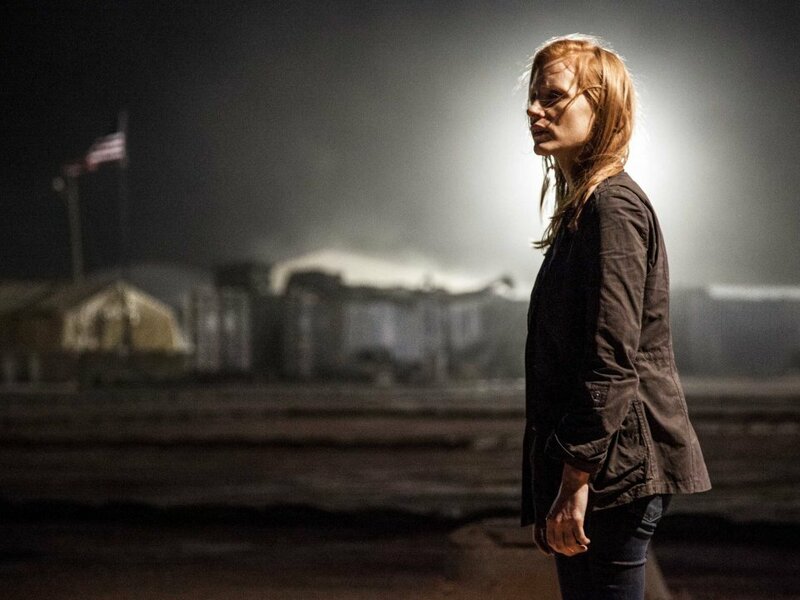 Complicit hints at, while Zero Dark Thirty glosses over, this absurdity – which could stand as a working metaphor for statecraft in general. 3. a survey of UK and US films about the Iraq war can be found in 'The Ill-Health of the State', Variant, 36, 2009 (www.variant.org.uk). 4. for a recent critique of Western foreign policy along these lines, see Why Are 'We' The Good Guys? Reclaiming Your Mind From The Delusions Of Propaganda (Zero Books, 2011) by David Cromwell of Media Lens. Review first published in Freedom, Vol. 74, No. 2, March 2013.